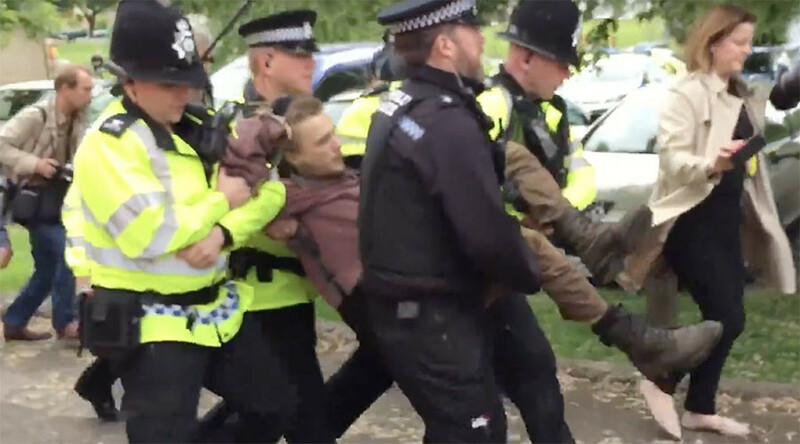 Footage of the incident shows the man being forcibly removed by police officers on site as he expresses anger at May’s pledge to allow a vote on making fox hunting legal again. The protester, who said his name is Connor, carried on with his demonstration before police officers dragged him to nearby vans. “This is the fascist state that we are living in under Theresa May's regime,” the man can be heard shouting. "I've not done nothing wrong,” he added. 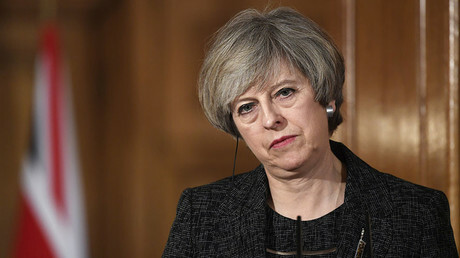 May caused public outcry when she announced last week that she would allow a Commons vote to repeal the ban on fox hunting. Eduardo Gonçalves, chief executive of the League Against Cruel Sports, opposed repealing the ban as he argued the legislation was enforced to prevent the unfair killing of millions of animals. “Hopefully any attempt to repeal, weaken or replace the Hunting Act will be prevented by those members of all parties who oppose the killing of animals for fun,” he was reported saying on the Daily Mail. “I think most people can see through attempts to claim that hunting is somehow good for the animals that are killed, and these figures show the reality.